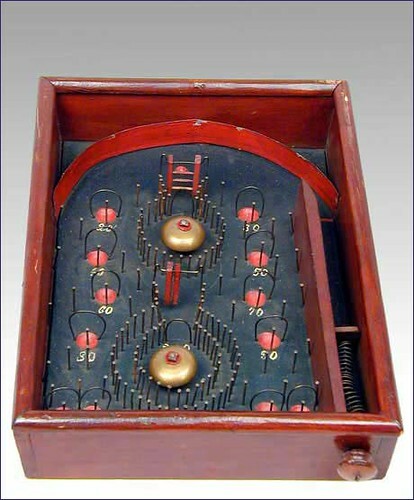 Pinball machines as we know them are descendants of 19th century bagattelle tables. 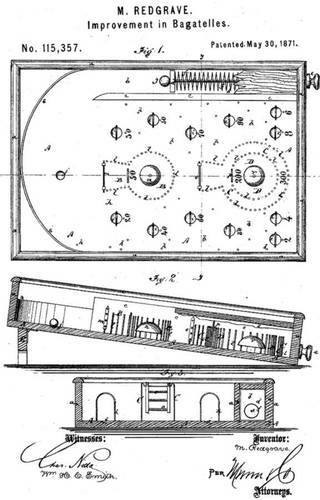 Pinball emerged when, in 1871, British inventor Montegue Redgrave invented and patented “Improvements in Bagatelles”: he made the game smaller, inclined the playfield, replaced the large bagatelle balls with marbles, and most notably, took advantage of the recent (1857) development of steel springs to add a coiled spring-rigged plunger to launch the balls. 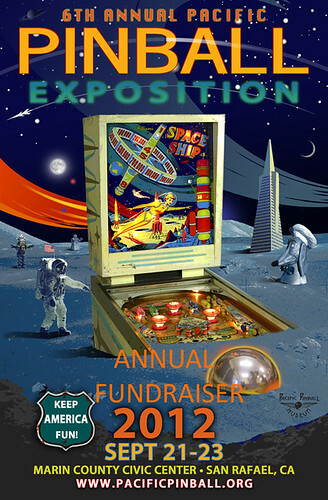 Readers can stroll– and pull and flip and bump and and jostle– down memory lane this weekend, at the 6th Annual Pacific Pinball Exposition at the Marin County Fair Ground, a benefit for the Pacific Pinball Museum. 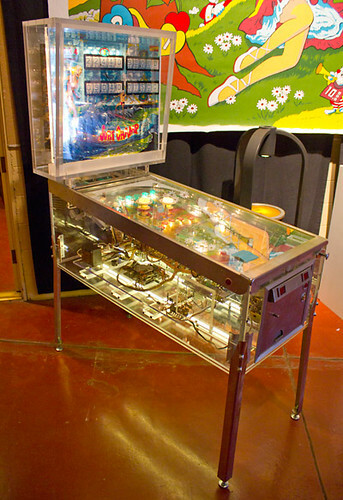 Those who can’t make it can wander through the Internet Pinball Database. As we collect our rolls of quarters (and further to yesterday’s missive), we might recall that it was on this date in 1967 that The Who “exploded” onto the American music scene with an appearance on The Smothers Brothers Comedy Hour. 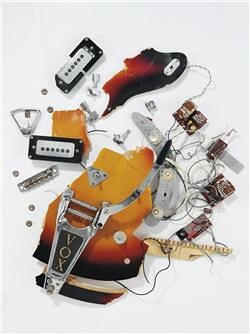 Three months earlier, the later-to-be-Pinball-Wizards had appeared at Monterrey Pop, where their set-closer– Pete Townsend’s guitar bashing and an flash charge under Keith Moon’s drum set, had inspired Jimi Hendrix (the act that followed them) to burn his guitar. The Who brought this same act to TV, closing their performance of “My Generation” with Townsend’s ritual destruction of his axe and an explosive charge that was apparently mis-rigged– so strong that it singed Townshend’s hair, left shrapnel in Moon’s arm, and momentarily knocked The Smothers Brothers Comedy Hour off the air.